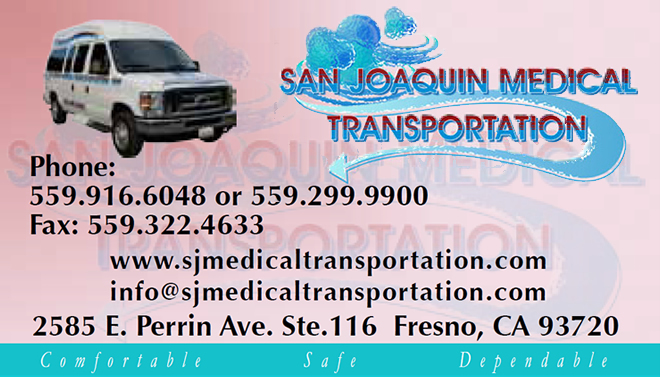 San Joaquin Medical Transportation, Inc. is a proud non-emergency medical transportation provider servicing Fresno county and surrounding counties. 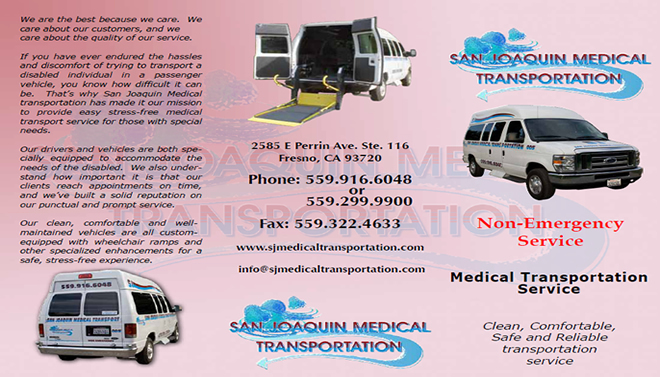 Non-emergency medical transportation involves getting patients to and from the source of medical care. 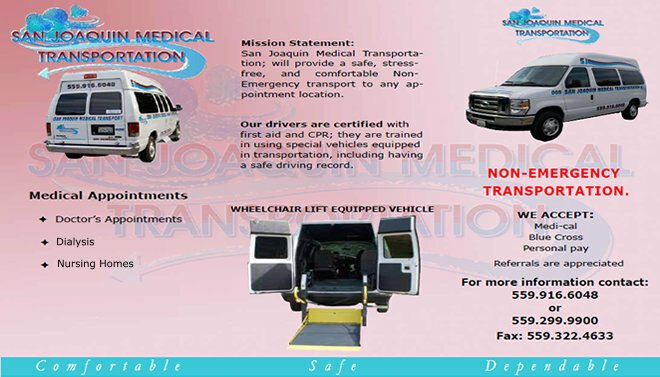 We assist clients from pick-up to drop-off to make sure that they get there safely and on time.